A waiter standing right outside a cafe in Beşiktaş continuously calls passers-by for breakfast inside. No matter whether it is a workday or not, a street in Beşiktaş devoted to breakfast spots is generally full - like the day I paid a visit there. The trendy street has a sociable environment with regular customers increasing each day. If you are near the Beşiktaş Bazaar, you can ask anyone for directions to the happening street. With your first step, breakfast spots pop-up one-by-one along the street. On weekends, long queues form in the morning as each cafe has its own customers, making it hard for others to find a table. The popular breakfast street has also taken the attention of people from Istanbul's remote districts and even other cities. It comes as no surprise that university students take the lead, though. 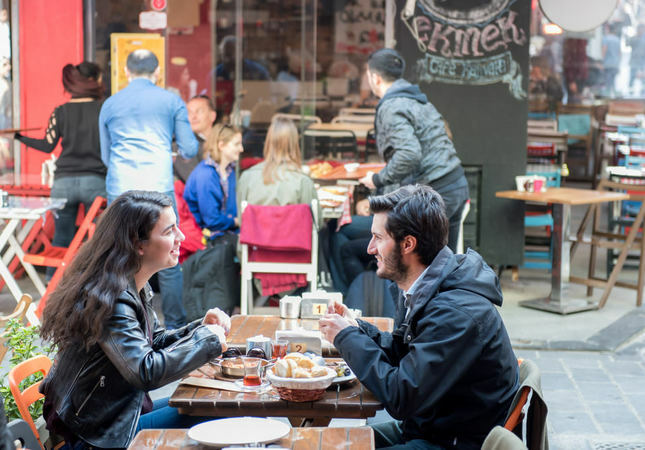 In short, the street has created a breakfast culture in Istanbul. In the last three years, the number of breakfast spots has risen with the addition of 36 new venues. Among the street's regular customers, Ayça Eryılmaz, said the cozy atmosphere is what makes the street trendy. "The cafes are favorable for both families and students. For me, Beşiktaş is the heart of Istanbul and Beşiktaş's heart lies in this cheerful street," she said. Kıymet Komaç is another regular. "The street has an unspoiled nature and reflects the area's unique soul. We enjoy our breakfast very much each time. And you know, as more young people come here, older people can feel their energy," Komaç stressed. The story behind how the street turned into a popular breakfast spot goes back more than 10 years. Şah İsmail Çakmak from the eastern city of Erzincan is the person who started the breakfast chain in the street formerly called Eskiciler Sokağı. He named his spot after his last name. First, people found it odd to open a breakfast cafe on a side street. At Çakmak, many products are brought from Erzincan like honey and tulum cheese, and you can have breakfast for TL 12 ($4) there. While observing customers, I saw tourists have already discovered the street. I took a seat near four university students. Mete Duran from Beykent University has been a regular customer for the last five years. "The street is a socializing point. I even met my girlfriend here," he said. Saim Özgen, who was born and raised in Beşiktaş, named his cafe "Zeytindalı" (Olive branch) two years ago to symbolize peace and friendship. He brings olives from the western city of İzmir, while cheese comes from the Silivri district. All products are organic and the breakfast plate for students costs TL 15. A mixed breakfast for two is TL 48. 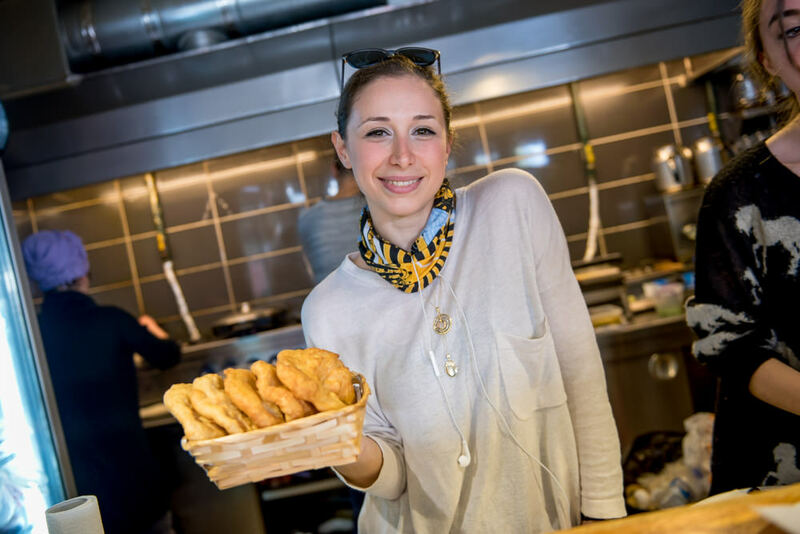 "Pişi," a type of fried dough made of milk, is the most popular dish at Zeytindalı. The interior is adorned with photos. "I put my customers' photos on the walls. It is a kind of tradition here. Our customers have become our friends," Özgen added. When it comes to Reçel Türevleri, the place is one of the oldest spots on the street. 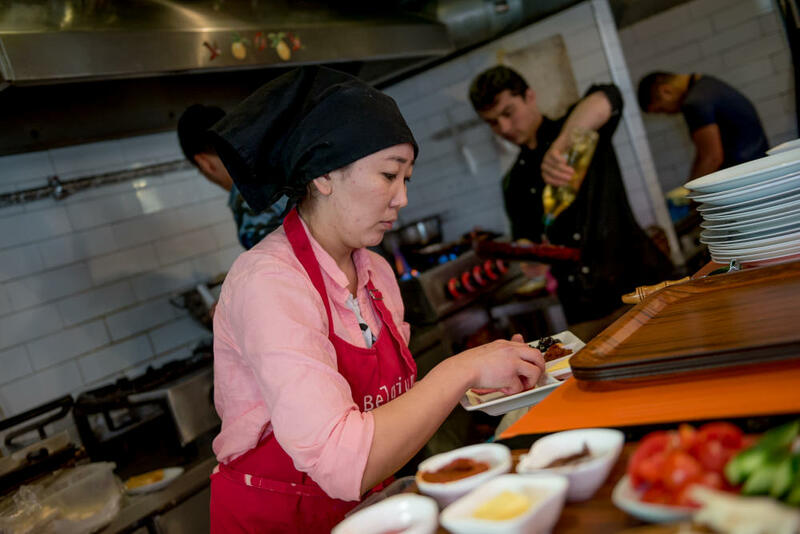 Opened by Türev Uludağ, the cafe serves 42 different homemade jams, all of which come from his mother's workshop in the southern city of Adana. 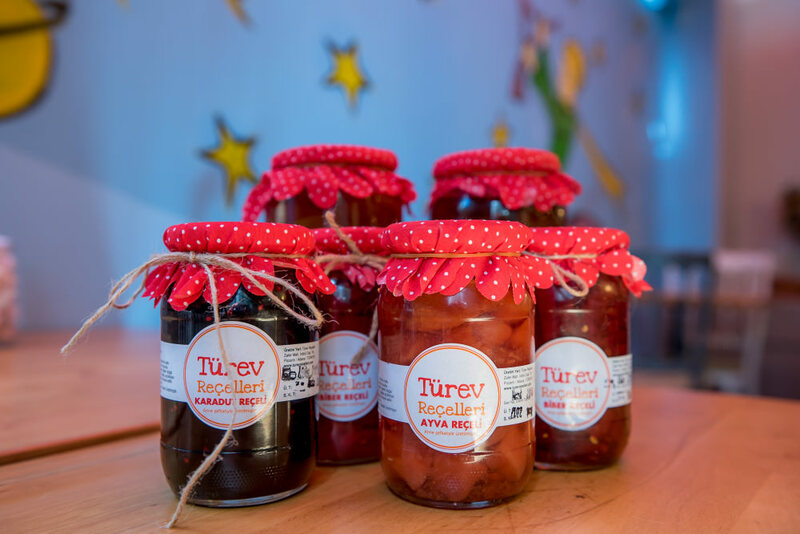 Arsen Karanfiloğlu, a staff member at Reçel Türevleri, said all the jams are seasonal and made without additives. "The jams have gained great popularity everywhere," Karanfiloğlu added. Actor Emir Çubukçu regularly visits Reçel Türevleri. "When I was in college, I used to come here with my friends. I like trying homemade jams and my favorites are lemon, mandarin and orange. And good company at breakfast," he told us. At Reçel Türevleri, the chili pepper jam is also a crowd-pleaser. "It is because you first get a sweet taste and then a bitter one. I highly recommend it," Karanfiloğlu said. Similarly, Cafe Faruk is among the oldest breakfast spots on the street and very popular for its menemen - a famous breakfast dish made of eggs, tomatoes and green peppers as a classic accompaniment to big weekend breakfasts in almost every Turkish home. Faruk Yılmaz, the owner of Cafe Faruk, opened the place 11 years ago and established two other cafes due to the high demand. İsmail Eker, the cafe's manager, said the reason behind why these breakfast spots are getting more popular is the joy customers feel there. "In the past, people used to spend more for breakfast and go to a luxury place. We offer breakfast at affordable prices and this is why students come here," he said, stressing that breakfast is a joy of business.